I know it’s been forever since I posted. I have been working on this bloody article since April. Finally, I realized that it wasn’t a dissertation, but a blog. The main point is that we have ignored how much Alawite theology and history informs the state of Syria today. Every time I started on this, I would read another article. I followed the trail all over. But you don’t need to know the history of the Ba’ath party or the Muslim Brotherhood and probably not the Gnostic elements in the religion. So, here it is for the six or so of you faithful readers. If you think it has merit, please pass it on. 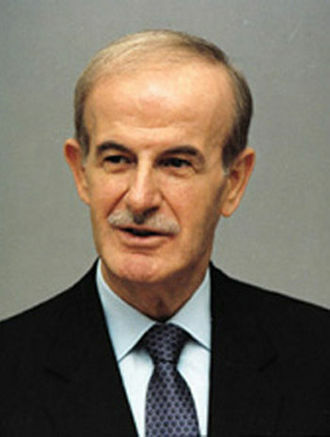 Born on September 11, 1965, Bashar Hafez al-Assad is the second son of former Syrian President Hafez al-Assad, and his wife, Anisa. [i] Bashar received his early education in Damascus and studied medicine at the University of Damascus, graduating as an ophthalmologist in 1988. He then served as an army doctor at a Damascus military hospital and in 1992 moved to London to continue his studies. [ii] His older brother, Bassel, was intended to be the successor to their father. However, when Bassel died in a car crash in 1994, Bashar was brought in to take his place. Fluent in Arabic, French and English, Bashar seemed to be a positive change from the iron rule of his father. However, events have proven that, if anything, he is more oppressive. I’m not going into the labyrinthine recent history of Syria. It was part of the French Mandate, then part of Egypt under Nassar. The Assad family came into power only in 1980, when Hafez emerged as the leader after a coup. What interests me most is the religion that the Assads are associated with, Alawite. Without the support of others of the religion and without the accommodating nature of its beliefs, it’s doubtful that the family could have taken control of Syria. I’ve seen very little in the mass media or in on-line comments about the Alawites, or Nusaryi as they were traditionally called. The more I’ve learned about their beliefs, the better I understand why Assad is still in power and why there was an uprising against him in the first place. The Alawite/Nusaryi sect began in Bagdad in the early days of Islam. It developed from Twelver Shi’ism, probably in the 10th century. [v] But, unlike other forms of Shi’ism, it was also heavily influenced by other religions in the area. This demonstrates how Assad can with apparent sincerity tell the world that he has no chemical weapons. Then he says, whoops, has some but he’ll turn them over to the UN. Oh dear, he found a few more but he won’t use them. And, of course, he would never drop chlorine bombs on his own people. But, the people he’s bombing are Syrians, often Sunni or Christian or Druze. I presume he would never attack fellow Alawites. At least, that’s what he says. In the years since 1970, the Syrian government has endured many revolts. Most of these it has quashed through force and dissimulation. It is known that Bashar al-Assad buys oil from the (self-named) Islamic State. [xv] Theoretically, he should be opposed to the extremist Sunni group that executes anyone who differs from their narrow view of Islam. One wonders if Bashar is still practicing ­taqiya to encourage his natural enemy to turn its sights to Iraq in exchange for cash. 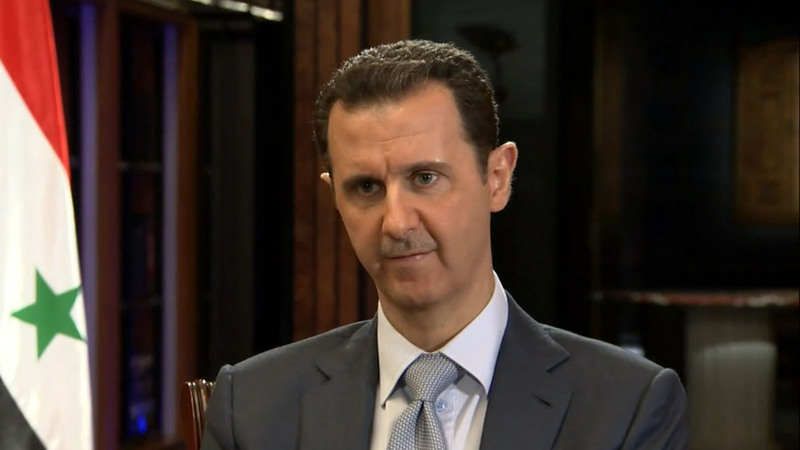 With the dramatic brutality of the Islamic State, Bashar al-Assad has moved to the back pages. The beleaguered citizens who have held out against him for almost four years are no longer noticed except when they flee to other countries. In Damascus, Assad still seems to be solidly entrenched, dropping bombs on his people, arresting and torturing those who oppose him and destroying more historical monuments than the Islamic State has managed to do. But, following the dictates of his faith, he has hidden behind dissimilation to misdirect the world’s attention toward the flashier terrorists. It was his behavior and that of his father that allowed the rise of, note only the Islamic State, but also the Muslim Brotherhood. Yet I wonder who will be left when the dust finally settles. [i] Bashar al-Assad. [Internet]. 2015. The Biography.com website. Available from: http://www.biography.com/people/bashar-al-assad-20878575 [Accessed 28 Jun 2015]. [ii] Encyclopædia Britannica Online, s. v. “Bashar al-Assad”, accessed June 28, 2015, http://www.britannica.com/biography/Bashar-al-Assad. [xv] Mark Piggot. “Isis Crisis: An Unholy Alliance ‘Islamic State Selling Oil to President Assad’s Regime”. International Business Report. Sept. 13, 2014 There are many more reports of this, including ABC news, the New York Times and Time Magazine.